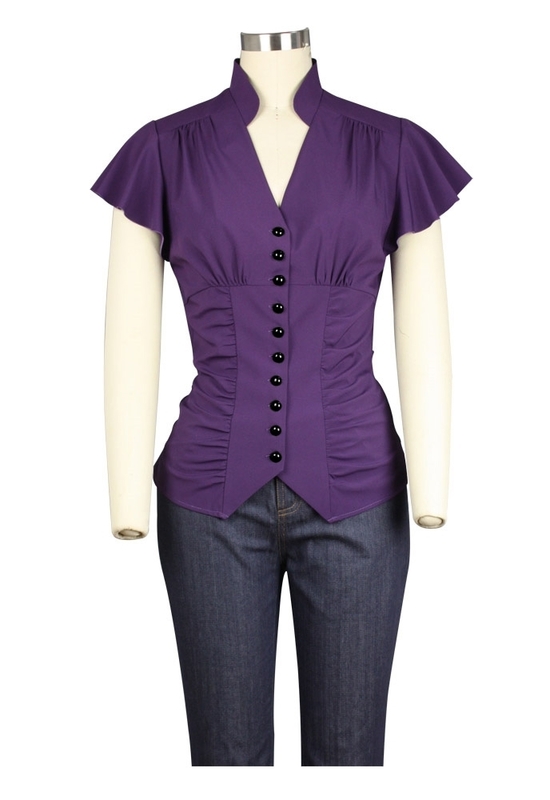 This blouse features a large inset waist, functioning front buttons and flutter sleeves. There are gathers at the bust and shoulder seams. Waist band attached to the sides can be tied into a bow at back for good looking and fit as well. Standard size approx. length:24 inches; Plus size approx. length:27 inches.